IMPORTANT: Century Paragon cruises must be reserved over the phone. Call us for more information. Century Paragon is one of the newest ships traveling the Yangtze River in China and is offering guests the trip of a lifetime. Guests can enjoy 15 night itineraries from Beijing to Shanghai or vice versa. These itineraries include air and land portions to allow guests to experience all China has to offer in one trip. Highlights of this trip include the Great Wall, Three Gorges Dam, Yu Yuan Gardens, Dayan Pagoda, Terracotta Warriors, Forbidden City, Imperial Palace, and Sacred Way of the Ming Tombs. 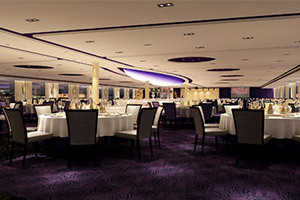 Century Paragon is a very unique ship when it comes to river cruising. Low bridges and canals in Europe require very low and long ships, while the waterways of the Yangtze River require no such restrictions. 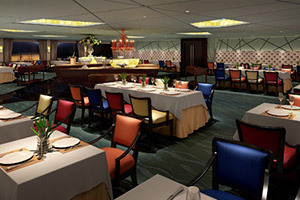 Century Paragon resembles more of an ocean cruise ship than a river cruise ship. Having 7 passenger decks onboard allows for many more of the comforts usually found on an ocean cruise. 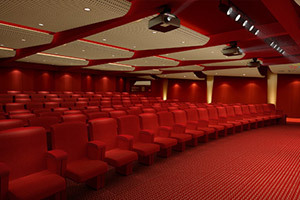 This includes multiple bars and restaurants, full-size cinema, and even an indoor lap pool complete with pool bar and loungers. Shore excursions are included when traveling with Century Paragon. Which is a good thing because there is so much to see in China. Local experts and guides will provide tours of all areas of the countries and historians and other educators will come onboard to give nightly lectures to enhance the day's trips or prepare guests for the adventures that tomorrow has in store. For being a river cruising ship, Century Paragon features a slew of amenities. 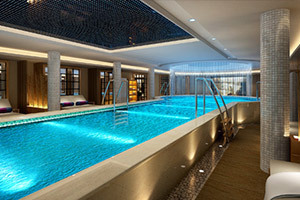 Included in these are two restaurants, two bars, cinema, spa and beauty salon, game and reading rooms, and even a full indoor lap pool. 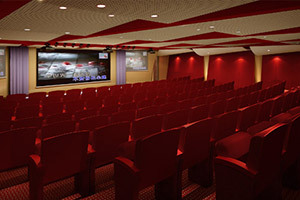 Guests may quickly forget they are cruising on a river with all the big ship amenities onboard. When boarding Century Paragon, guests may quickly forget they are on a river cruise when seeing the lobby. Century Paragon boasts a towering 7-Story atrium lobby, a feature most often found on larger ocean cruise ships. It is small examples like this that set a Century Paragon cruise away from the rest. Huge Discounts & Low Price Guarantee on all Century Paragon Cruises! Book any Century Paragon cruise with us and you'll get the best deal possible, regardless of the ship or sail date! 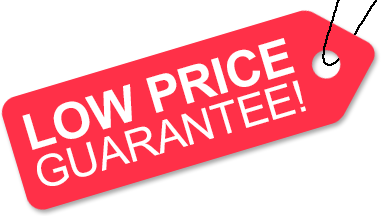 Because of our huge price discounts and "Low Price Guarantee," nobody beats our Century Paragon cruise prices, so look around and you're sure to find the best Century Paragon cruise deal possible when booking with us! We do not charge booking fees on any cruises! You're sure to enjoy an affordable Century Paragon cruise when booking with us! Our special offers on Century Paragon cruises may not be combinable. Certain restrictions apply to each offer. View terms and conditions during the online booking process. The deck plans of Century Paragon provided on this page are subject to change. We reserve the right to correct errors. Please verify all information with Avalon Waterways directly.